A few weeks ago, I wrote how the X-chromosome and mitochondrial DNA are different. Both have unique inheritance patterns but they are not the same thing, not by a long stretch. Many people are not familiar with mitochondrial DNA as it is not the most popular, or well known, of the DNA tests. However, everyone has mitochondrial DNA which they inherited from their mothers which makes this type of DNA a great tool for solving some DNA mysteries. While yDNA is passed down from father to son, mitochondrial, or mtDNA, is passed down by a woman to all of her children. While male children inherit their mtDNA from their mothers, males cannot pass it down to their children. Only female children pass down mtDNA. Both yDNA and mtDNA are passed down for many generations without mutation unlike autosomal DNA which recombines with every new generation. These two types of DNA testing are great for ancient ancestry, going back hundreds of years. The mitochondrial inheritance line through a child’s mother’s mother’s mother. Eventually I hope to use the information from my father’s mtDNA to discover (and confirm) who Sarah A. (Jewell) Rea’s female ancestors are. Going down the tree from Sarah, there are only three living people in my immediate family who share this mtDNA – haplogroup H1g1 – my father, his first cousin, and her son. My grandmother only had male children with my father being the sole surviving child. My grandmother also had a sister, hence my father’s female first cousin and her son. Once they are gone, I will have no immediate family members who share this mtDNA. Margaret (my 2X great grandmother) had two daughters. 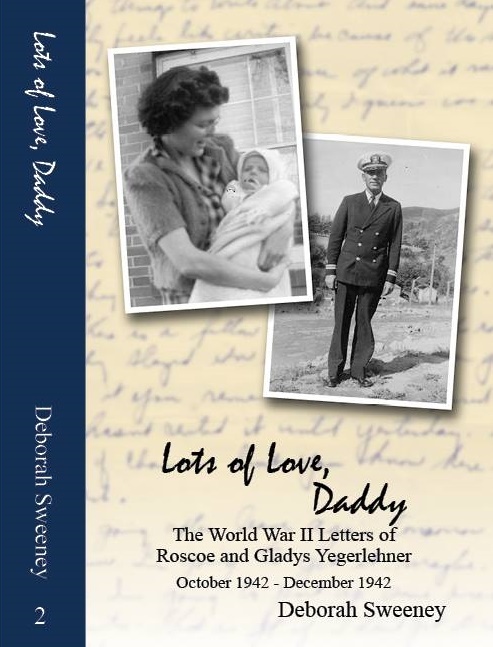 However, her second daughter’s only child was a son; the mtDNA was not passed down beyond her grandson, Roscoe, on that line. 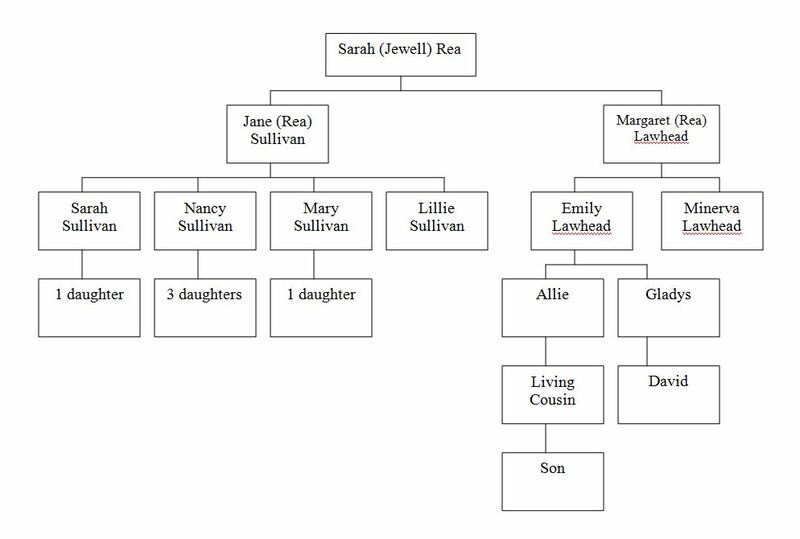 Potentially, Sarah has living descendants with her mtDNA; she had two daughters, Margaret and Jane. Jane had four daughters, three of whom had daughters, and so on. Sarah’s direct female descendants will share the same mtDNA. I currently have 234 mtDNA matches at FamilyTreeDNA; only four are perfect matches with zero (0) mutations. Since mtDNA mutates very slowly, even though I have four perfect matches, I have not been able to determine how these matches are connected to my family. Our most common recent ancestor (MCRA) likely lived hundreds of years ago. To solve my brick wall, I can sit and wait for another “perfect” match to test their mtDNA and hope that we can find the connection, OR I can do some targeted testing. Even though I have no direct evidence of who Sarah’s parents were, I have a lot of indirect evidence. And if you have been following along, you KNOW I have already traced the collateral lines of Sarah’s potential siblings, especially her sisters. I might even have a direct female descendant (or two) that might be worth pursuing to see if they carry the same mtDNA. 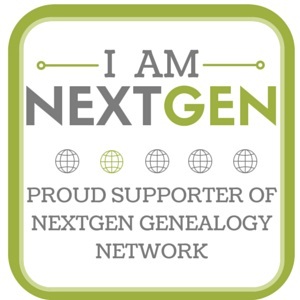 This entry was posted in Genealogy and tagged DNA testing, genealogy, genetic genealogy, mtDNA, Sarah (Jewell) Rea on May 30, 2017 by Deborah Sweeney. Very cool to see the Sarah Rea chart….and great links. Good luck Deborah! I hope you can get some good test subjects to help you.